While I’m all about cooking from scratch normally, sometimes there are things from my childhood that are so good – well, I just make it anyway. 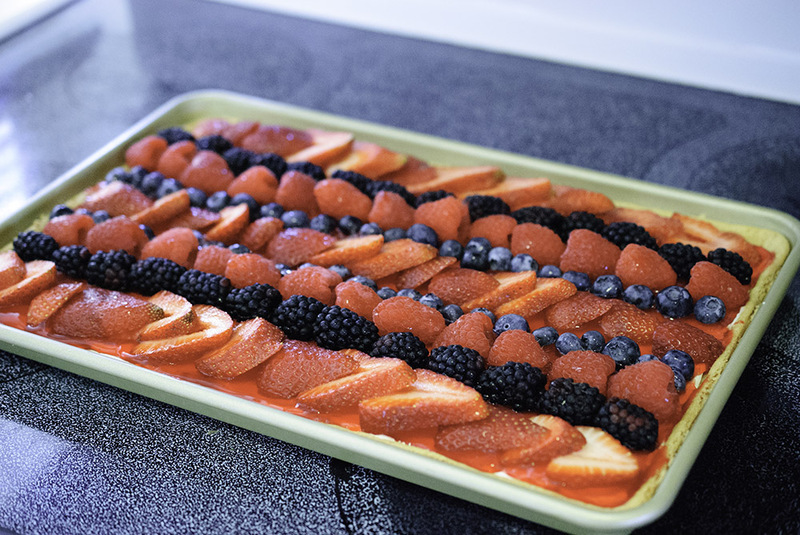 Fruit Pizza is one of those things. It’s great for bringing to picnics and potlucks, and when I do, I rarely have leftovers to bring home. Last weekend we went to my brother-in-law’s birthday party, and (after remembering about it earlier in the week) this was a must-bring. I made the cookie part the night before, let it cool completely overnight, and the cookie part stayed crisp throughout the day. 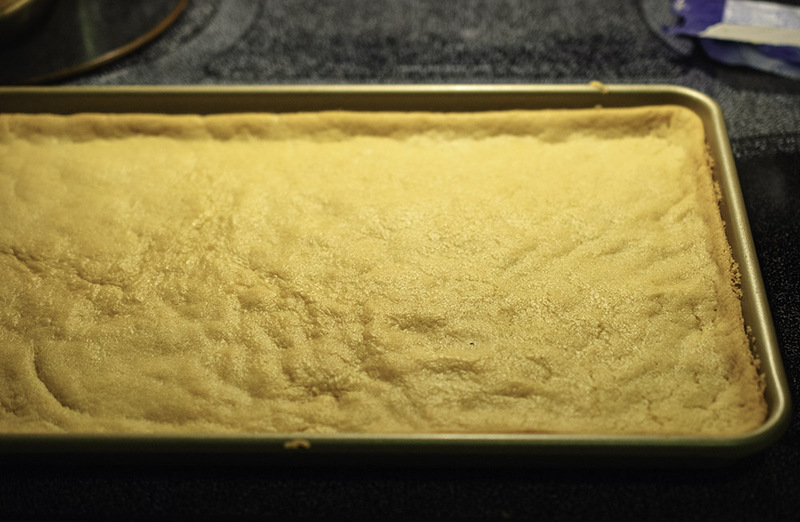 In the past, I’ve made the whole thing at one time, and the cookie part did get mushy after about 6-8 hours. Still good, but something to keep in mind if it won’t be eaten right away. 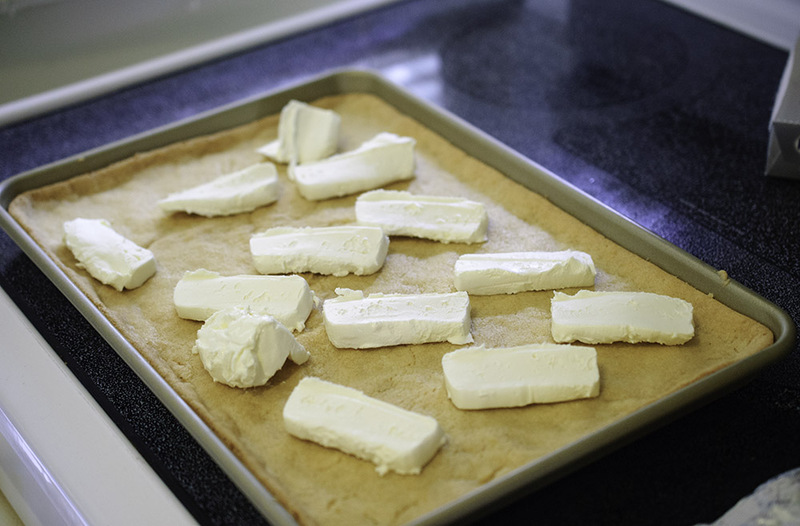 Slice cookie dough 1/3” thick and cover either a round pizza pan or a square 1/2 jelly roll pan. 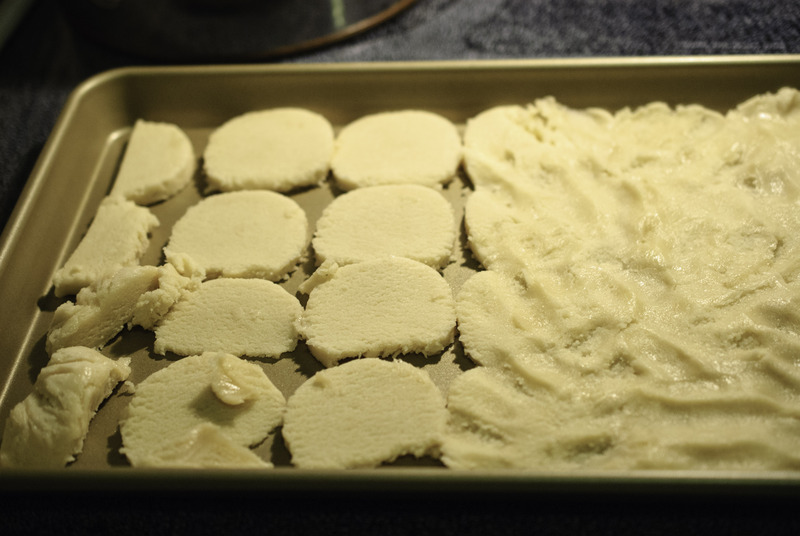 Press dough slices together at the edges to make sure that there are no holes. Bake for 10-14 minutes or until lightly browned. 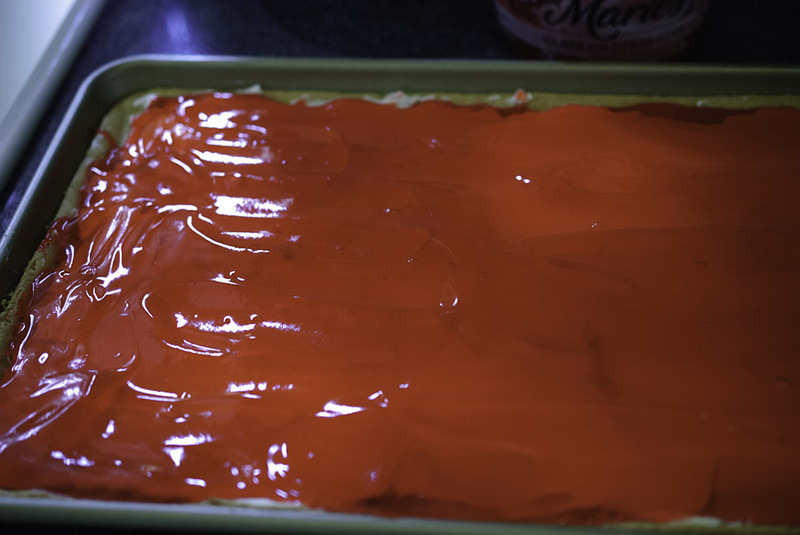 Spread strawberry glaze on top of cream cheese. Slice fruit and place on top of strawberry glaze. Cut, serve and enjoy!